A research team co-led by Professor Shin-Hyun Kim from the Department of Chemical and Biomolecular Engineering and Professor Jong-Ryul Jeong from the Department of Materials Science and Engineering at Chungnam National University developed iridescent microparticles with a structural color gradient. 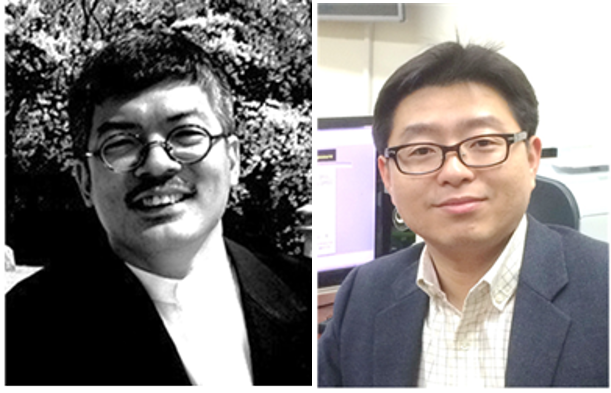 The research team posthumously dedicated their research to a renowned professor in the field of nanophotonics, the late Professor Joong-Hoon Shin of the Graduate School of Nanoscience and Technology at KAIST. He passed away suddenly in a car accident last September. The iridescent microparticles, which allow on-demand control over structural color, will be key components for next-generation reflection-mode displays with clear color realization even in direct sunlight. Materials such as opals, Morpho butterfly wings, and peacock feathers all display beautiful colors without pigment, using regularly-spaced nanostructures. Regularly-spaced nanostructures render color, by selectively reflecting the light of a particular wave through light interference. As such, materials that possess periodic modulation of refractive index at subwavelength scale are referred to as photonic crystals. In general, photonic crystals are only able to display a single color, so limitations exist when attempting to apply them to reflection-mode displays which call for multiple structural colors. The research team addressed the issue using inspiration from snowflakes stacking in the winter. When snow falls on the surface of a round-shaped structure, the thickness of the snow stacking differs depending on the orientation. Based on this observation, the research team created photonic microparticles with a structural color gradient by depositing two different materials on spherical microparticles. When some material is deposited on the surface of a sphere, the material on the top is thickest and becomes thinner on the sides. The team alternately deposited titania and silica on the spherical microparticles to form periodic modulation of the refractive index. The thickness of the alternating photonic layers is reduced along the angle from the top, which yields a structural color gradient. Consequently, the microparticles reflect long-wavelength red light from the top of the sphere and short-wavelength blue light from the side of the sphere. Any color of the visible spectrum can be selected in between the top and side depending on the orientation of the microparticles. The research team used an external magnetic field as a way to control the orientation of the photonic microparticles and the structural colors. As magnetic iron layer was deposited underneath the alternating photonic layer, it was possible to freely control the orientation of the microparticles using a magnet, thereby allowing control of the color seen by the users. KAIST doctoral candidate Seung Yeol Lee of the Department of Chemical and Biomolecular Engineering is the first author of this research, with support from the Midcareer Researcher Program of the National Research Foundation and funded by the Ministry of Science, ICT, and Future Planning (MSIP). This research was published in the online edition of Advanced Materials on February 6, 2017. Figure1: Sets of an OM image of photonic Janus microspheres and an SEM image showing a cross-section of the photonic layers. 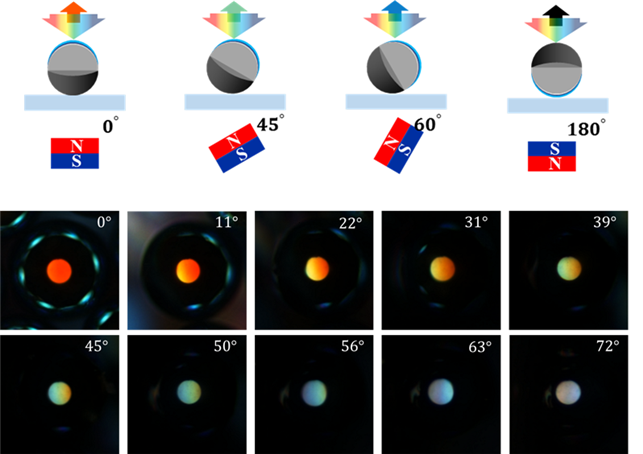 Figure 2: A series of schematics and OM images showing the color change depending on the orientation angle of the photonic Janus microsphere.